It's time for a Thursday Throwback again and I decided to come up with this post because of Kamen Rider Zi-O. The Heisei era is coming to an end by next year -- which means that Zi-O will be the last Kamen Rider of said era. Now it's time to consider looking back at two shows last Year 2000 namely Mirai Sentai Timeranger and Kamen Rider Kuuga. What do both shows have in common? They were both shown in the new millennium era. Kuuga premiered on January 30, 2000 and Timeranger premiered on February 13, 2000 of that year -- way before the "Super Hero Time" jingle was created in 2003 starting with Bakuryu Sentai Abaranger and Kamen Rider Faiz. But they both have a contrasting difference -- one show ended an era while another began a new era. The Kamen Rider franchise was struggling to return back to its feet. The 90s had some pretty good Super Sentai shows (such as Jetman, Dairanger, Megaranger, Gingaman and GoGoFive) or some Metal Hero series which I deem as the four Metal Hero masterpieces of the early 90s -- Winspector, Solbrain, Exceedraft and Janperson. There were attempts with Kamen Rider Shin, Kamen Rider ZO and Kamen Rider J which were all but movies -- no new series was made and sadly Shotaro Ishinomori died before Kamen Rider could be revived. Things looked dark for Kamen Rider and the late 90s also had the demise of Metal Hero. After B-Fighter -- things went downhill with B-Fighter Kabuto, Kabutack and Robotack. Robotack ended the Metal Hero franchise and the same franchise is still dead until today in terms of releasing a new series. On the other hand -- Timeranger's first episode was already the beginning of the end of the 20th century era Super Sentai. I remembered how Sentai Bandicoot actually called it as the Sci-Fi era though I'd probably call it as the "Takatera's Grounded Approach Era" or "The Overly Ambitious Era". Just the title alone that means Future Taskforce Timeranger may make one think on whether or not Super Sentai was going to end with that series after a long run. If it doesn't end Super Sentai then maybe it's the end of one era and the beginning of another era. The whole series started in the new millennium which at the same time is the final year of the 20th Century. Heck, Timeranger even went as far as to stretch that when they returned to their time -- it was already the 31st Century! So how was Timeranger actually setting its ground as a "finale Super Sentai" while making way for new innovative stuff for the start of a new era of Super Sentai? I think it can be found in the dialogue such as Tatsuya mentions about fighting for a better tomorrow. Later dialogue would have it to a better future or a better 31st century. The other Timerangers are told to leave the 20th century before the Great Disappearance that was going to happen in when the 20th century ends and the 21st century begins. 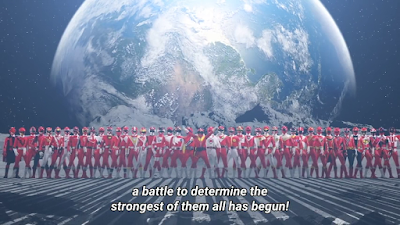 It's almost like saying, "Will Super Sentai end or will we see a new era?" As said, Yasuko Kobayashi like Inoue is fond of foreshadowing events in her writing style. It seems like it! Timeranger soon ended with a fun special episode where all the 20th Century Super Sentai from Goranger up to GoGoFive were reviewed. What was interesting to see was that it felt like closing a chapter. It was almost like a book called "The 20th Century Era of Super Sentai" was written and Timeranger was its final chapter. 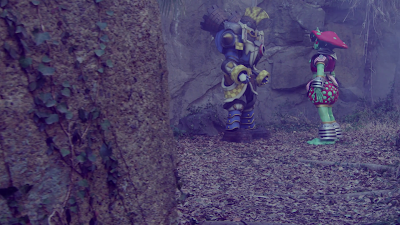 Then we see them look outside to welcome the first Super Sentai of the 21st century namely Hyajaku Sentai Gaoranger. Gaoranger was going to be the start of the new era of Super Sentai where evolving the multi-gattai mecha concept was going to be frequently done. The whole special episode could be interpreted that Timeranger was a finale while Gaoranger as the 25th season (hence a major anniversary) was a kickstart for the 21st Century Super Sentai series of the Heisei era. However, the dream of Ishinomori didn't die with him. Kamen Rider began a massive retool and yes, Kamen Rider Kuuga is an ambitious retool. The Year 2000 was not only the beginning of the new millennium but also the final year of the 20th century as January 1, 2001 would be the start of the 21st Century. Kamen Rider Kuuga would start a near steady stream of Kamen Rider shows (though Kamen Rider Decade got cancelled in the middle of the year hence newer Kamen Rider seasons after that were released during on an October and currently on a September) -- succeeding where the Showa era failed. The Showa era was very undecisive such as Kamen Rider Stronger was supposedly the end then we've had the two years later Kamen Rider Skyrider. 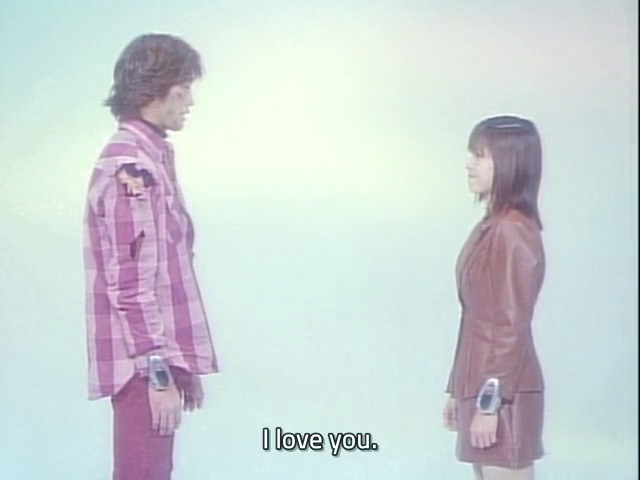 Then Kamen Rider Super-1 and Kamen Rider Black had a five to six year hiatus in between. But that's not the case with Kamen Rider right now as there's no hiatus yet for the Heisei era. How was Kuuga ambitiously remodeled? The huge difference between the Showa era and Heisei era of Kamen Rider is with its writing style. I remembered how I didn't immediately take a liking for the Heisei era due to the tendency to have a two-parter arc all the time -- all the while I was enjoying some well-written sci-fi TV drama from Taiwan, Japan or South Korea that time! 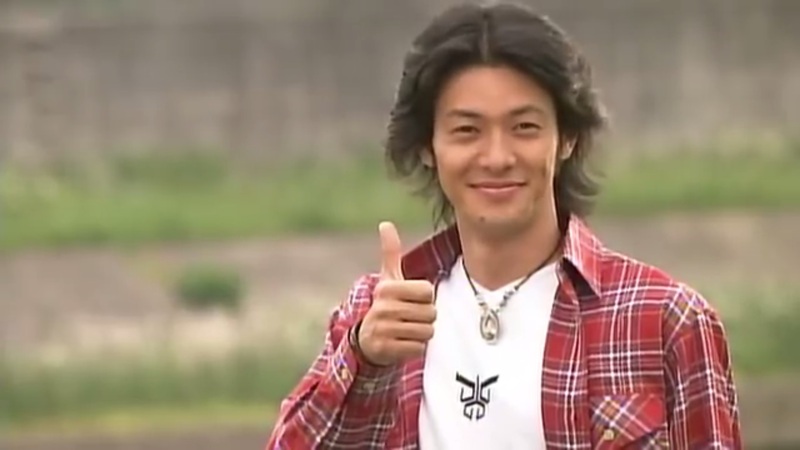 Kuuga was definitely the start. 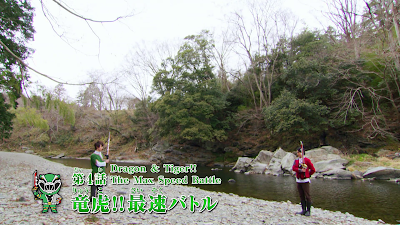 Gone are those idiotic villain plots and stupid villains that Toku fans really love. The Grongi played a deadly hunting game and the Manga is even darker from what I hear. Kamen Rider Kuuga doesn't immediately learn how to use his power-ups which somehow adds to the maturity level. Somehow, there was much risk taken when Kamen Rider was rewritten in a way to become a yearlong sci-fi TV drama in some way. However, the formula really succeeded thus causing no hiatuses between Kuuga up to Zi-O -- where I view the latter as a finale series since the Heisei era is already coming to an end. For one, Kuuga is also the very debut of Naruhisa Arakawa as a head writer. He had several hit or miss episodes. I still can't forgot how I heard Arakawa's Jetman episodes were somewhat criticized for the blatant silliness -- such as the Dryer Jigen episode. Arakawa himself managed to establish himself as a head writer starting with Kuuga though most of his latest assignments made him a head writer for Abaranger, Dekaranger and Gokaiger. You also forget, that Timeranger is the first series in a trend to feature the SUPER SENTAI logo before the series opening. Also the episodes had numerics written over it.